The vegan activists behind documentary Dominion have launched an online interactive map containing the exact locations of 5,000-plus Australian factory farms and slaughterhouses. 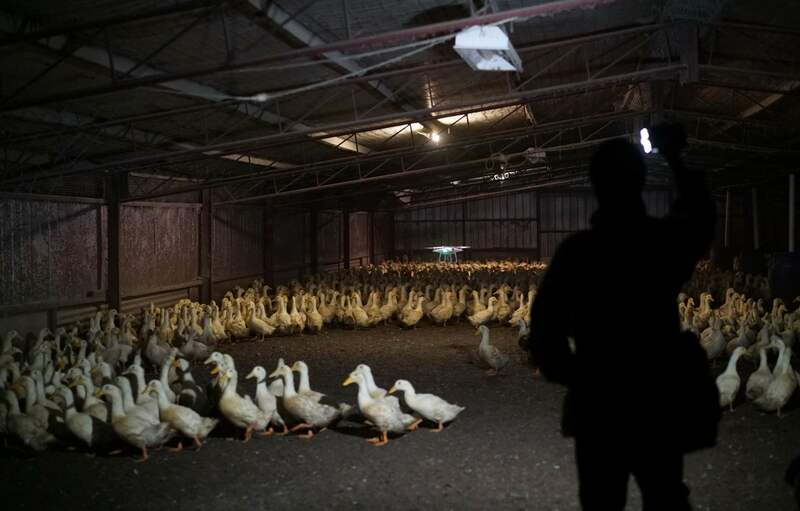 According to Animal rights organization Aussie Farms, many of the facilities named in the map - which has been in development for more than eight years - also have photos, videos, and documents attached. Until now, the resource has only been available to a small number of activists and organizations, but Aussie Farms has made it public in a bid to 'force transparency on an industry dependent on secrecy'. "We believe in freedom of information as a powerful tool in the fight against animal abuse and exploitation," Aussie Farms Executive Director, Chris Delforce, told Plant Based News. "We believe consumers have a right to know of the existence, location and operations of these businesses. We believe whistleblowers have the right to a platform where their anonymity can be respected." He added that the majority of consumers are still unaware of the reality and sheer scale of everyday, industry-standard animal agriculture, saying 'practices like overcrowding, mutilation without anesthetic, live maceration of unwanted male chicks in the egg industry and the slaughter of five-day-old unwanted male calves in the dairy industry, gas chambers as a stunning method in all major pig slaughterhouses… are considered acceptable and routine by those who profit from them." Delforce says the map will ground slaughterhouses and factory farms in reality - showing that they exist, where they are, and what they do. "It shows how these horrific places that most people wouldn’t support, have essentially taken over the country. Naturally we're receiving a lot of backlash from farmers already, because for so long they’ve been able to operate as they please, without scrutiny and without awareness… but that’s now changing. "This map is about laying everything bare, so that consumers can make their own informed choices about what they wish to support with their purchases."